The NRA now offers an online training course for its Range Safety Officer (RSO) program. The online course teaches the skills needs to conduct and supervise safe shooting activities and range operations. Online RSO Course students can access the electronic course materials for 90 days. You can complete the course in multiple sessions. The program will save your progress so you can return later. Who Can Take the Course? : The Online RSO Course is available to anyone who currently possess a valid NRA Firearms Instructor certification or NRA Coach appointment. Course cost is $125.00. Individuals without a trainer rating must attend the in-person Range Safety Officer course consisting of both classroom time and practical exercises on a range. Certification Procedure: Students must complete all six lessons and a short electronically administered test in order to become a certified Range Safety Officer. Once the test has been passed, newly certified Range Safety Officers will receive an electronic completion certificate that can be printed or saved to a computer. The NRA RSO program was developed in response to the demand for a nationally-recognized range safety officer certification. More than 54,000 NRA Range Safety Officers are involved in aspects of target shooting, training, and range supervision around the USA. 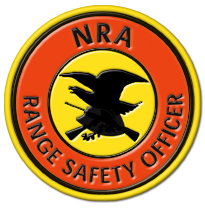 Share the post "NRA Offers Online Range Safety Officer Training Course"